Celebrate in the heart of Wine Country. 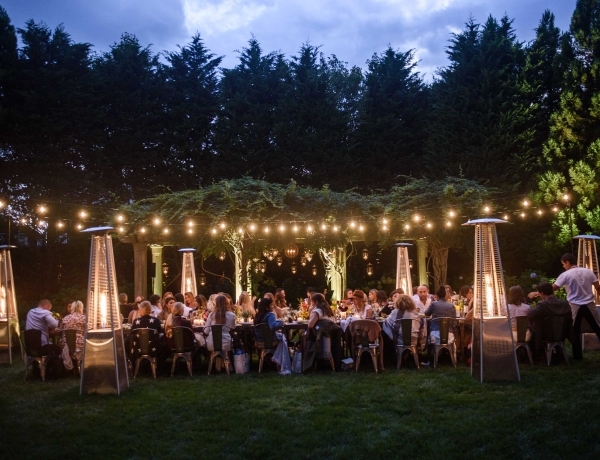 Choose from our various event spaces: an intimate dining experience in the historic Sherry Building, or a large celebration under soft string lights and the canopy of mature mulberry trees in The Courtyard. We approach each event in a custom, personal manner, creating a family-style menu to pair with classically focused cocktails and wines. For our guests looking to enjoy The Charter Oak experience outside of our restaurant, we offer off-site catering. We are happy to bring our catering services to your business, private residence or location of choice.  A private buy-out of The Charter Oak in its entirety provides your group exclusive access throughout the restaurant, from the Dining Room to The Sherry Building, Courtyard and Terraces. Perfect for weddings, receptions and large celebrations. 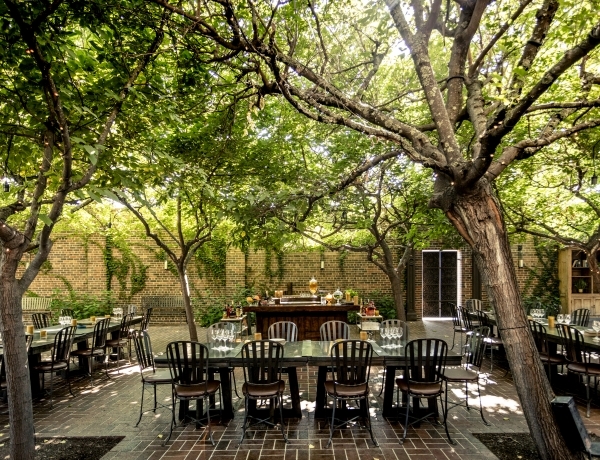 The Courtyard offers seasonal outdoor dining underneath a shady canopy of mature mulberry trees and soft string lights. 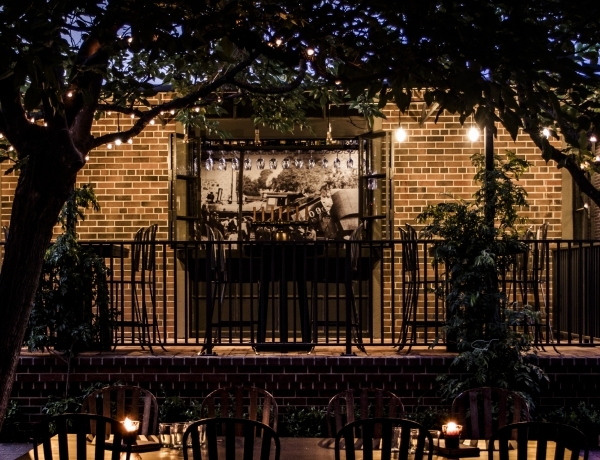 Our red brick patio is an ideal setting for larger groups and special celebrations. The space is conducive to a variety of table configurations for a festive meal or a gathering of friends for a cocktail party. 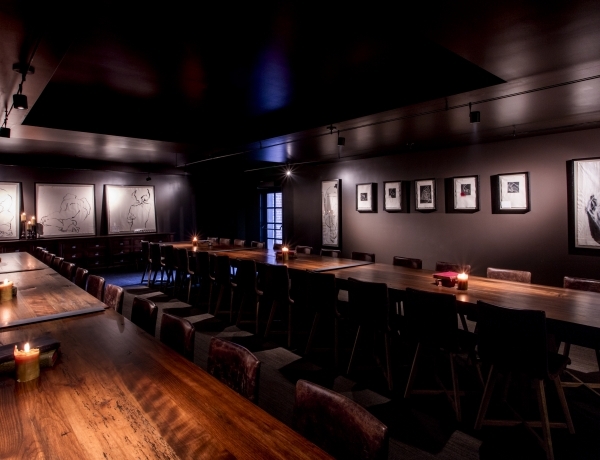 The Saint George Room is our featured event space. It provides a versatile 1100 square ft. open plan conducive to events and meetings in a variety of settings. 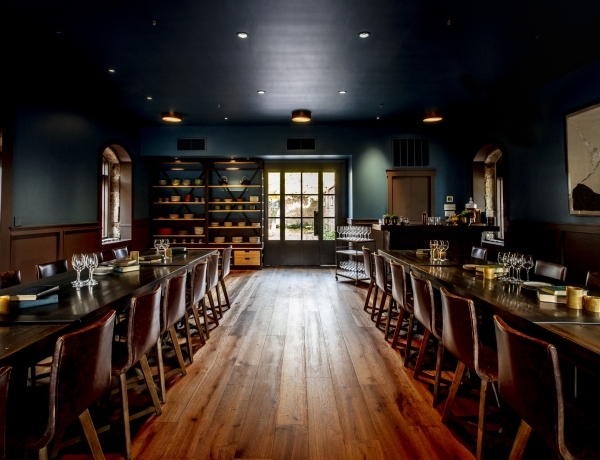 The warm, well-designed ambiance of the Saint George Room is a fresh alternative to the conference rooms traditionally found in Napa Valley. 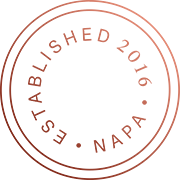 It exclusively features the artwork of Belgian contemporary artist Eva Claessens. 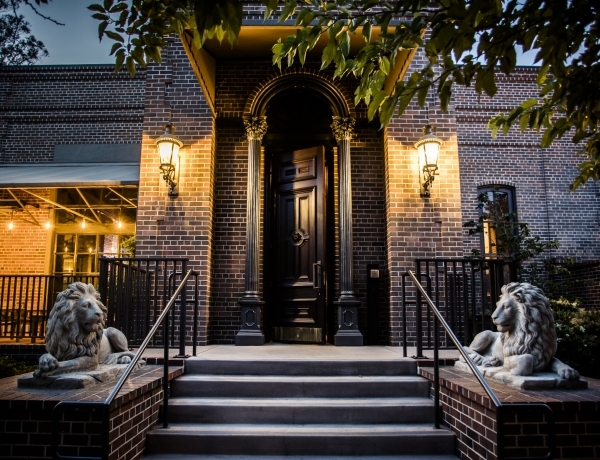 Ideal for private dining or intimate celebrations, the historic Sherry Building dates back to the late 1800's. It has recently been restored back to its original essence: stone walls, wood floors, beamed ceiling and Dutch doors, which open out into The Courtyard. The West Terrace is a great location for entertaining small groups as it is private, but not enclosed. Just outside the dining room, on an elevated table and chairs it overlooks The Courtyard, is under a heated canopy and has direct access to a private bar.